2015 is right at the door. You feel like saving every little bit of 2014 and marking it with memories and making it your own, to cherish later – like a kid with a candy box trying to save the best for the last. Ah, that question of how we’re going to celebrate the 31st. Time will cross yet another imaginary line, as it does every moment and every day, in fact. But somehow, The New Year, NY, means something. It is, however, funny that we Indians celebrate at least two new years per year per head – this one and the one that’s deeply rooted in our ancient lunar calendar, irrespective of our religion. And, we award holidays to all and everybody’s new years, all the major ones at least. Thoughts, somehow, flit from a mashup of memories to the jumble of the present to an equally blurry imagination of the future. Remember when the Y2K bug was as persistent a newsmaker as it was a disappointment? That was 2000 and perhaps everyone remembers what they did on that particular 31st. Turn of the century! In 48 hours, we’re going to embrace 2015 whether we like it or not; Love Story 2050 just 35 years away. I, Robot, maybe a little farther. Avatar, perhaps even more, unless we learn to time travel by that time. PK is already here! These futuristic movies – okay, Love Story 2050 is excused, it’s just cheesy – somehow managed to get a lot of attention partly because we’re always anxious about the future and partly because we like to imagine what will be when we won’t. And the future, my friend, if one goes by these movies, is about becoming more human, letting go of all the boundaries that set us apart… and basically the same thing we haven’t yet managed to do. In that sense, well, Forrest Gump was as much an alien as PK is. 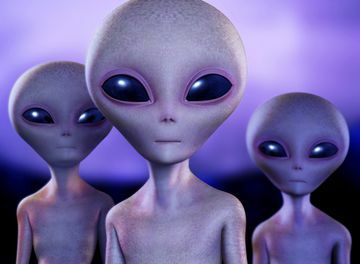 The question, this NY’s eve is this: Why do we need these aliens from time to time to land amongst us and teach us what should come to us naturally. Why is it that we educated lot who are supposed to know what’s good, healthy, right, as well as the uneducated lot, that have been expressly told what’s good, healthy, right, fall into the trap of the inhuman, unhygienic, immoral, insensitive? Why, after close to 70 years of Independence, we’re still waiting for the Swachch Bharat Abhiyaan to go mainstream? In fact, what has our Independence got to do with cleanliness? Gandhi became one such alien and made us take a good look at ourselves. So did Buddha. And Jesus. Their lives were a comment on spiritual cleanliness. And Jyoti. Her ordeal is a comment on our social cleanliness. And Malala? What about Maya Angelou? What about Manjunath? Durga Shakti Nagpal? These are all aliens. Alien is their approach to life. They did something that we, as a majority, don’t do. And not by intent or design. They knew what was right in the context of their life and they stuck to it. That’s alien to us. Much like having green skin, big, slimy ears, eyes bulging out of our skulls. I am not mixing up divinities with victims with illustrious people with aliens. What I’m saying is that all these people were people like you and me – in flesh and blood - and they walked off the beaten path, out of the mainstream mostly because they were desperate. That they grew in stature, popularity, and experience, is another story altogether. They had to take the measures they did out of sheer desperation and may I say, desolation. They did not seek comfort in numbers, those that did, they did not find it. There must be something truly stifling about being mainstream then. For every major crime there is a minor act of transgression on our person in the folds of the mainstream. The mainstream is there to blunt the edge and usually it does – slavery, racism, apartheid, imperialism, gender crimes, hate crimes, everything can go mainstream. To seek succor in the mainstream – the majority – is a delusional thing therefore. Until… until an alien comes along. Think of what alien within yourself are you suppressing? When are you taking that step – however small, however insignificant? My one hope for the new year therefore, is to become an alien. Go off the grid. Do what sets aliens apart – at least the aliens of our imagination. These aliens are adept at one thing – living deliberately (not speaking of those Earth-busting, oxygen-hungry ones. No no, they’re rather mainstream. At least a few corporate honchos and politicians are doing just that). Think all the while committing acts as to why, how, and what for. Live life, deliberately. I don’t think we do that enough. If we did, we’d probably consciously decide when to and when not to reach out for that third glass of wine or a second serving of double chocolate pastry; we’d probably know also that prayers in Sanskrit ought to have just as much value as those spoken in any other language or just felt in our hearts at the right time; we’d see more of ourselves in another man’s religion than our differences; we’d probably spend our time tending our garden than pointing out how badly our neighbour’s patch fares; we’d probably not wear fishnet stocking just because they’re the in thing just because Nicole Kidman was seen wearing them; we’d probably know that alcohol and smoking and orthodoxy and unpleasantness and unkindness are all injurious to health and stop doing these things. Actually stop doing these things. We’d probably know that books and science and research and education are not just glossy terms or party conversations or items to show off. Those things are nothing if we don’t make something out of them. If we read something, believe it to be true and good and relevant to us, and don’t apply or follow it – for everyone who says about smoking or corruption or violence, “oh, you know, a few things to keep me human”, well, I have a test: what would you have your child do? –we’re… well, stupid. We’re mainstream. That’s what mainstream does: don’t question. Don’t ask for a reason. Do this because everyone else is doing it. What will everyone else say!!!? You see, Sheroes, I’ve truly enjoyed being a part of your community here but I truly believe that between Sheroes and Heroes there is only one dividing line – and it is an imaginary one. It is that line of society’s expectations – again a very mainstream thing. Both camps have had to keep up to them so far. It’s time to let go of it all. What will everyone else say?!! J Let them say what they will. Have a Happy New Year. Live deliverately, live freely.